**This is the 32-Bit version of Microsoft Office Professional Plus 2013. Please ensure that you are using it only with the 32-Bit version of Microsoft Visio and Microsoft Project, as it may not be fully compatible with other versions of Microsoft Office 64-Bit . 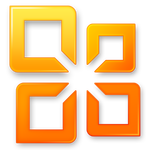 ** Microsoft Office is an office suite of desktop applications, servers and services. It includes Microsoft Word, Excel, PowerPoint, and OneNote plus Outlook and Publisher. You will be charged $15.00 for each user assigned to the application.